Yogyakarta Bromo Ijen Tour Package 3 Days 2 Nights, Going to Yogyakarta in first and plan for a tour to visit the mount bromo sunrise tour and climb at night to ijen volcanoes at local travel providers and have to end this tour in Surabaya or at the port to Bali (Ketapang ferry port), we recommend take the yogyakarta bromo ijen tour package 3 days 2 nights. The direct trip starts with pick-up from Yogyakarta where you are and then goes to bromo hotel about 10-11 hours by road. Yogya Bromo Ijen Tour Package 3 Days 2 Nights, On 3 Day 2 Night trip in east java indonesia you will watch sunrise Bromo and see the early morning mist swirl over the valley. 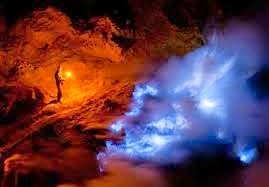 Take a 4×4 jeep on an offroad adventure through in sea of sand of the most beautiful bromo semeru tengger national park in Indonesia and entered Ijen crater at midnight to see the electric blue flames of Ijen a rare sights that only exist in 2 locations in the world. Around 00:30 in the midnight start mount ijen tour package, Our driver will bring us to the paltuding post and then continue trekking to the slope of Mount Ijen, passing through plantations and rainforest. This is one of the few remaining on the Island of Java with giant ferns, plants &amp; big trees, this journey takes approximately 1 hour from the hotel in Banyuwangi or 45 minutes from hotel in sempol Bondowoso by private car. Arrive at the parking area (Paltuding Post) of Mount Ijen, approximately 1 hour until 1.5 hours will be required to ascend slope of mount Ijen to reach peak of Ijen Crater and along the path, you will enjoy the stunning natural scenery with fresh air & shady. And enjoy best panorama of the ijen blue fire dan lake of sulphate and the sulfur mining workers go down into the crater and climb back up by passing dangerous path on the edge of Ijen Crater with the load as much as 80 kilograms on their shoulders. This is really a dangerous hard job. After enjoyed the natural scenery at Crater of Ijen and then descend the slope of Mount Ijen until vehicles parking area where our vehicle is waiting for transfer out to Surabaya or ferry port to bali. Arrival in Surabaya or ferry to bali, the adventure ended. Surabayabromotour.com provides several alternatives if you do not want to take a long trip because Yogyakarta to Bromo can be reached by 10-11 hours by road. From Yogyakarta you catch the train or plane to Surabaya or malang. The distance of Surabaya or malang to mount Bromo is only 3 hours by road.Our staff be met you in on the place. Our driver will take you and transfer to hotel in Probolinggo (near to bromo).